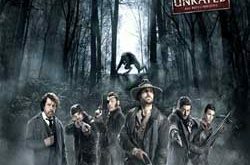 Over the past couple of years, Raven Banner Entertainment has been delivering the sort of films genre fans have been clamoring for. 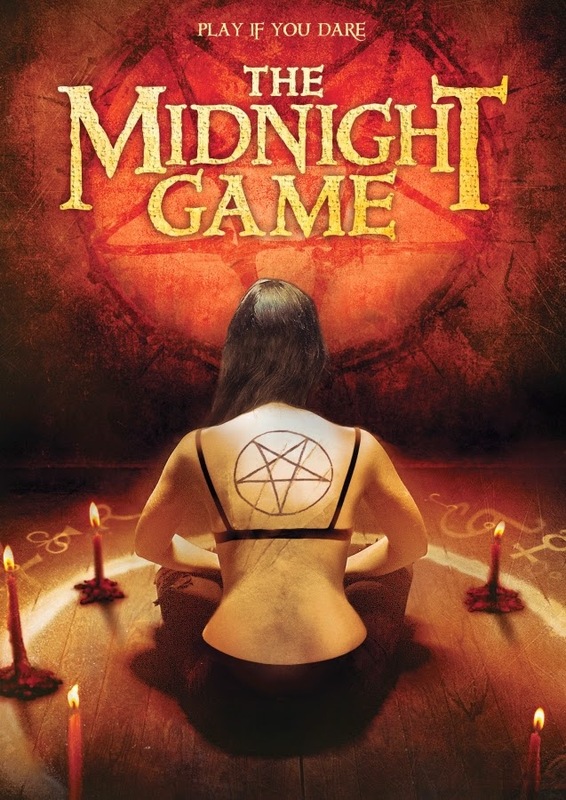 Their slate seems to be full with even more great titles but the recently released THE MIDNIGHT GAME is just enough fun to warrant your time. 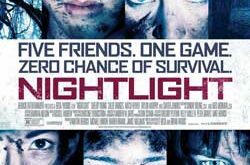 It falls into the category of film that plays around with the idea of urban legend games. Following in the footsteps of something like Bloody Mary or Light as a Feather. In this case, the game is the Midnight Man. The game requires you to turn out the lights, light a candle, and knock on the door 22 times with the final one occurring directly at midnight. The goal is to avoid the Midnight Man by keeping your candle lit. If it goes out you have exactly ten seconds to relight it or he will get you. If he does you will have to live your darkest fears over and over again until you die. There’s more to it and if you should decide to try, look up and read the rules carefully if you want to survive. The film follows a group of teens who find themselves alone for the weekend. Kaitlan’s (Renee Olstead) mom has to go away on business, leaving her to fend for herself. She invites over her girlfriend Jenna (Valentina de Angelis) who brings along Rose (Shelby Young). Her mom gave specific orders to not allow any boys in the house. Jenna takes it upon herself to invite over Shane (Guy Wilson) and Jeff (Spencer Daniels). Their entertainment for the night is to try their hand at The Midnight Game. Their goal is to follow the rules exactly as they’re laid out but things don’t always happen the way they should. 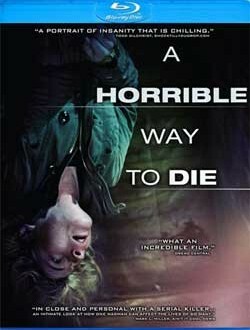 Things begin to happen to the group of kids, things they can’t explain, things that may end up ruining their lives in the end. The only way they can save themselves is to retry the game and hopefully they get it right the second time. 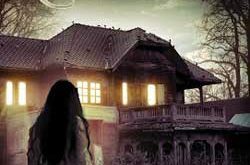 Director A.D. Calvo (HOUSE OF DUST) has a very distinct gift: the ability to build suspense. We’ve all seen similar films so it was enjoyable to have a director establish and deliver on the suspense letting it grow as the film goes on. Part of the reason it succeeds is due largely in part to the fantastic cast. Their portrayals feel natural as does the mounting fear as their nightmares become reality. Composer Joe Carrano brings the film to life with the eeriness of his dark and soft score. The game itself is interesting and a real life urban legend I had never heard of. I have no problem in stating that I’m far too chicken s– t to give it a try. As the nightmares begin to manifest fest themselves, it didn’t quite feel like there was enough. We get a good sense of what they are but it just seemed to me like there could have been more, an extra jolt to really drive it home for an audience. The finale might not sit well with some, but the more I think about it, the more I see how well it worked.